Getting a cheap, as well as trusted VPN service, has become one of the chief concerns of today’s Internet era. Most of the Free VPN services does not provide good speeds, and the better ones cost a lot. In this scenario, this particular promotion from WindScribe VPN will help you a lot. You will be getting full online protection and remain anonymous. Any website you visit, the owner can’t trace the location you are browsing from and will prevent it from logging your browsing habits. And having 50GB of Bandwidth every month will cover all your browsing needs where you may want to use a VPN. In today’s post, I will discuss How to avail the 10GB/Month VPN Offer from WindScribe. So, let’s get started. Before I write further, you may want to know what is a VPN and what are the advantages of using a VPN. You can say goodbye to site footprint trackers who tracks your browsing behaviour to show your advertisements. 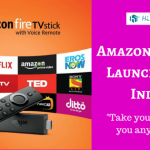 Ever visited an Amazon product and saw ads related to that product everywhere? That will stop. Stop Tracking & Browse Privately: Did you know that on every website you visit, there are website trackers installed which collect your Internet footprints to create your online profile. These profile store your browsing habits and they are sold to advertising companies which, in turn, displays relevant advertisements to you based on your interest in browsing. Windscribe VPN will prevent Website Trackers to track you. Often our Government blocks different websites including torrent sites and illegal sites. With VPN enabled, you can visit any site anytime. It unlocks the internet for you. Unblock Geo Restricted Content: There are a lot of USA streaming websites whose services are restricted to that particular location only. WindScribe VPN will change your IP and can fake location to any place of your choice. By this way, it can unblock Geo Restricted Content. It can also bypass restricted networks like your college or office wifi network and let you browse any website you want. Protect your Information: If you connect to a public Wifi Network and do transactions online, hackers can easily sniff your information. Windscribe will encrypt your Wifi Connection so that nobody can trace your data. Windscribe VPN is running a special promotion under which you can get 50GB per month VPN data for a lifetime. This is a massive amount, and we feel you should grab it. This is a limited period opportunity and will be available only if you sign up right now. This offer may end anytime. All you need to do is use a promo code while signing up to WindScribe VPN. Just use this voucher code while signing up on WindScribe to get your 10GB/Month Scheme Started. Click Here to Visit WindScribe Website. Click on the Sign Up Button on the Top Right. On the next page, click on Use For Free. You shall see a signup page. Choose a username, password, and you must enter your email id though it is given optional. Because if you lose your password, that’s the only way to recover your account back again. On this page, there is a space to enter your Voucher Code. You must use the code I gave above. Click on Create Free Account, and you are ready to go. 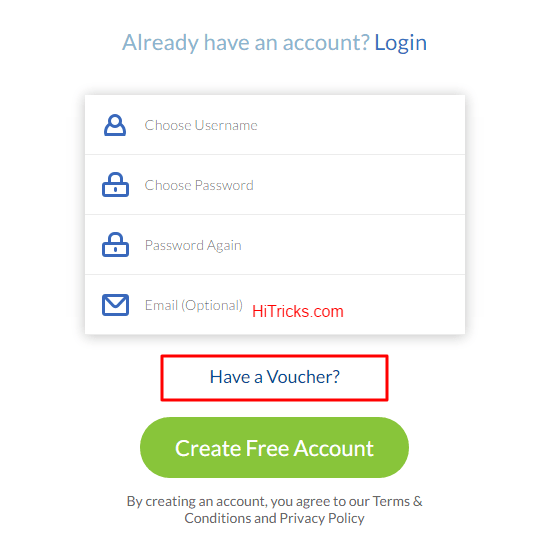 You shall see a popup that you need to confirm your email before your voucher is activated. So, check your mailbox (and spam folder, too) and verify your email address. After your email id is confirmed, you can visit My Account Section (On the Top Right after you Login) of WindScribe to check your VPN Bandwidth. You can see 50GB available over there. Don’t worry, it will be reset every month and will be offered for a lifetime. Enjoy. You can also see your used bandwidth for this month, and your bandwidth reset date over there. Finally, it’s time to get started with WindScribe VPN. WindScribe VPN is available both as a Windows Software as well as a Chrome Extension. At this moment, Android App for its Free Account is not available yet. Only Paid accounts can use their Android application version. But the good news is that by the end of Q2 that is by June 2017, they will have their own native Android App for all their users. So until that time hold yourself and afterwards you can use VPN on your Android Mobile too. You can download WindScribe VPN from here. Well, for now, Android Users, you can check out 8 Premium Android Apps to get Unlimited VPN FOR FREE. 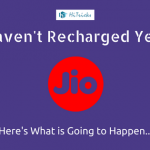 With a Flat 50GB/Month Scheme for Lifetime opportunity, it is simply the best deal you can grab right now. Server Speeds are good and protect you from identity leak. The only downside is the limited availability of server locations on the free tier. But, it is useful for a regular user. That’s all about WindScribe VPN. I hope you have liked this promotion. So, avail it fast before it expires. Do share it with your friends and help them grab this excellent offer for their lifetime. Don’t miss it. Use the Social Share Buttons given Below. If you have any further queries or you just want to appreciate me, you can do so in the comments section below. I will be happy to respond to you. Thank you for reading this post. I will soon be back with another exciting update. Till then, stay tuned! A top VPN with a great selection of features. Windscribe has blown me away with its easy interface which is easy to navigate. They also have a great number of locations and servers which provides you with even more possibilities. Windscribe has also been providing very consistent speeds while maintaining good security and a selection of features. Definitely what I’d call the complete package! Pretty decent vpn with strong speeds. I’m glad I came across your review as it has helped answer a few questions I had. I’ve been using Windscribe for a month now so still a newbie, but it’s been good so far and i’ve found all of their features/services do the job right. Do you know if the VPN works just as well in places such as China? I’ll be traveling there next month. Thanks! Hi Nirmal! Great review and thank you for sharing your thoughts. I’ve just installed windscribe and everything seems to be working ok! I will keep you updated on how it goes but so far so good 🙂 Only using the free plan though. Would you recommend going pro? If you’re in need of a reliable vpn that has everything in one simple package, you’ve found it with windscribe. Very happy with my pro plan which I recently upgraded to after checking out the free plan. I would recommend trying it first before investing just in case you’re not 100% if it’s for you. However, they have a nice selection of plans and payment methods so you won’t have a hard time selecting the best option that suits you. Windscribe is a lot better than the other VPNs available on the internet, especially seeing as it prioritizes keeping it updated and maintained. The recent updates are worth checking out. The better customer service is great and the extra payment option is great for those that aren’t ready to commit to it yearly. Love reading positive revews about the things I love! Windscribe has been nothing but an angel in an internet system full of devils! Trackers are my ultimate enemy and Ih ate it when ads pop up and follow you around the net. Apart from being great with their speeds and seelction of locations, their features are top notch. Hey everyone! Windscribe user here who is 100% satisfied with their service. Windscribe is definetly among the top VPN’s and I agree with most of the comments and positive reviews. I’ve been using the VPN for a ferw months now and recently noticed the speeds have gotten even faster, has anyone noticed the change? Could be down to a possible update as I’ve noticed Windscribe seems to be on their feet when it comes to maintanence. Anyone else noticed the change? Would be interesting to find out! Your article is great and 100% true. I’m a windscribe user on the pro plan and I’ve had nothing less than satisfactory experiences while using the VPN. It’s fantastic how many extra features they provide even when you’re on the free plan. Personally, i’d like them to have a live customer support system but I remember reading somewhere that for them to do so, they’d end up needing more info to track you or would need information regarding your account which would defeat the object of surfing the net with no trace. Still, i’ve been happy with their customer support as I have emailed them a couple of times. Overall, i’m very impressed with Windscribe. I’m so happy I came across Windcsribe as it’s been a great tool to have. Very satisfying results with high quality performing speeds, a great selection of locations and some super amazing features! I’m not sure if there are many VPN’s offering what Windscribe does as I haven’t bothered to look. It’s reviews like these that really help people understand what VPN is worth giving a go. Thanks! Windscribe has been fantastic! I’ve been using VPN’s for around 2 years now and I’ve got to say this is probably the best I’ve ever come across. Windscribe has proven to be a great provider with a range of special features that not all providers have. Love the free plan option too, personally, I think this is a great start for newbies who aren’t 100% what they’re looking for. No string attached, but if it gives you what you want you can then upgrade to pro to make the most of Windscribe. Overall, I’m very happy with the complete package. Hi Nirmal. Totally agree with the above commenters, a great review. One of the best i’ve found, and i’ve been doing a lot of research! So many reviewers make their review technical which is no good for someone like me lol also one of the reasons why I’m really happy with Windscribe. It’s super user friendly and easy to understand. I’m still one of the newbies (been a member of the pro plan for 2 months) but i’ve found it a great help especially as I travel a lot. Anyway, 5 stars from me for Windscribe, and 5* for you for such a great review. Keep it up! Great review Nirmal, really helped me decide whether Windscribe was for me and I can say it is! Now been using it for a month and am really happy with the results. The speeds and connections are reliable and i’m loving the selection of features and locations. Cheers! What if I don’t have internet data, can I still use the 10gb offered?? Hi! I’m currently on my 6th month with Windscribe and have just upgraded to their Pro Plan. So far i’ve been able to put Windscribes features to full use. It blocks ads and trackers, has 50 locations to choose from, plus it also has an app available for Android now! Speed wise, can’t complain. Haven’t a problem since the day I installed it, and those i’ve recommended it to have the same opinion. Was a bit uncertain at first because of the free plan. Anything that’s free on the internet gives you doubts if it’s gonna work well or at all, but Windscribed proved me wrong! The free plan works great, but I recently upgraded to Pro so I could get the full use out of it. 5 stars from me!